PJM’s newest hydropower project will be barely large enough to power nine homes. But if some visionaries have their way, it will be the start of a trend that could add up to a substantial new power source. The North Wales Water Authority in suburban Philadelphia won Federal Energy Regulatory Commission approval last month for an 11-kW turbine and generator to capture the energy from a 12-inch water line. North Wales’ project is among 19 projects approved by FERC since September under legislation enacted last year that a Department of Energy study says could unlock 12 GW of capacity at existing non-powered dams and manmade water conduits, including about 1.5 GW in PJM. The Hydropower Regulatory Efficiency Act (H.R. 267) amends the Public Utility Regulatory Policies Act of 1978 (PURPA) to exempt dams up to 10 MW from FERC licensing requirements (up from 5 MW). The law also amends the Federal Power Act to relax regulations on conduit hydropower facilities — tunnels, canals, pipelines or other “manmade water conveyance” used in distributing water for agricultural, municipal or industrial consumption — of up to 40 MW. A second law, the Bureau of Reclamation Small Conduit Hydropower Development and Rural Jobs Act (H.R. 678), authorizes the U.S. Bureau of Reclamation to develop small hydropower projects at existing canals, pipelines and other man-made waterways. The North Wales project is one of three approved thus far in PJM. Ellwood City, a town 40 miles north of Pittsburgh, won approval for a 10-kW turbine on a 24-inch wastewater pipe that discharges 1.7 million gallons of water daily. 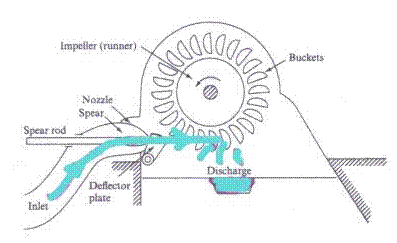 The Pelton wheel turbine would use the momentum of the 50-foot “head” — or drop in elevation — in the 340-foot pipe. 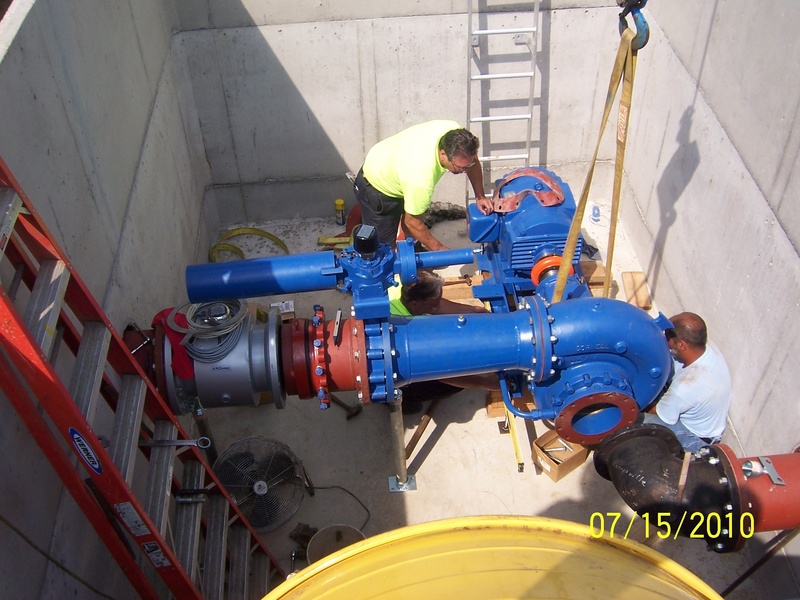 Another project that won approval is a 250-kW project by Oak Lawn, Ill., a Chicago suburb, which will install a turbine in a drinking water pumping station. Oak Lawn buys water from Chicago’s purification plant, storing it in eight reinforced concrete reservoirs. Water must be delivered to the reservoirs through an air gap to prevent backflow into the Chicago delivery system. Oak Lawn had been using butterfly valves to create the air gap and reduce the 45 pounds per square inch pressure. When the town began planning a major overhaul of the water system, engineers decided to replace the valves with a turbine. “Why not recapture what [energy] they can?” explained Randy Rogers, an engineer with CDM Smith Inc., which is designing the project. The turbine and generator, about the size of a side-by-side washer and dryer, will save the town more than $160,000 annually in electricity, about 15% of what it spends powering the pumps that deliver water to its customers. Village Manager Larry Deetjen said the hydro project was an easy sell in the environmentally conscious town, which runs an electronic waste center and was an early adopter of the switch to more efficient LED street lights. The cost of the turbine, generator and related electrical equipment will be about $1 million, with a payback period of 10 to 12 years, Rogers said. The North Wales hydropower project will install a “reverse pump” on a 12-inch water pipe to replace a pressure-reducing valve at a water transfer station. The station serves a role akin to an electrical substation that steps down voltage from transmission lines to the distribution system. North Wales is using the valve to reduce the water pressure by about 30 psi. “In doing so, it becomes wasted energy,” said Frank Zammataro, CEO of Rentricity Inc., a New York City-based startup that won a $300,000 grant from the New York State Energy Research and Development Authority to build the project. Pending regulatory approvals, the company hopes to begin construction within two months and have the generator running by summer. There are about 23,000 locations in the U.S. with such pressure-reducing valves, said Zammataro, a former Merrill Lynch banker. That represents a $2.4 billion market for potable water systems in the U.S.
Industrial uses — food processors, mines, chemical and pharmaceutical manufacturers, and the pulp and paper industry — boost the market size by another $1 billion in the U.S., he said, with worldwide potential of more than $17 billion. Current hydropower technology is only cost-effective at scale of 30 kW or more, Zammataro said. But for every 30-kW opportunity there are 10 to 20 opportunities of 5 kW to 30 kW. Thus Rentricity set out to find cheaper technology that could make the small projects viable. The turbine in the North Wales project will be a modified version of a pump by Xylem Inc., the second-largest pump maker in the world. 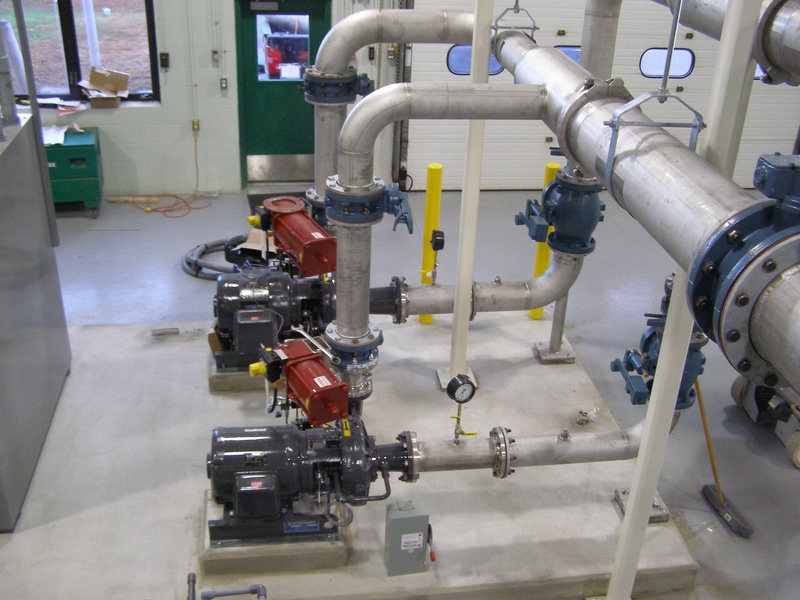 Rentricity also has a distribution deal with manufacturer Cornell Pump Co.
“The equipment is getting very cookie-cutter, very plug-and-play,” which is essential to reducing cost, Zammataro said. Reducing regulatory costs and delays are also key to making small projects viable. Zammataro said it formerly took six months or longer to win a Federal Power Act licensing exemption from FERC. Under the new legislation, the agency is now approving exemptions in about 50 days. “This is, in my opinion, a big breakthrough at FERC,” Zammataro said. Without such certification, the project cannot qualify for net metering, which provides a higher value for the power than it would be able to obtain though a purchase power agreement. Zammataro said he plans to file a challenge. To date, Rentricity has completed about a half-dozen projects. The company’s largest project is a 325-kW generator installed at the California Water Services Co. The generator is in a 20-foot by 20-foot vault, a much smaller footprint than wind or solar for an equivalent output. “This form of hydropower is very efficient and very compact,” he said. Zammataro says all new water pipeline projects should be required to investigate the opportunities for energy recovery. In addition to offsetting water utilities’ electric bills — typically 30 to 35% of utilities’ budgets — it can provide remote power sources to run sensors to monitor flow and pressure data and identify the leaks that waste an estimated 20% of water. PJM’s scheduling rules aren’t flexible enough to meet the needs of wind and other variable energy resources, FERC ruled last week.